Sun tea is the perfect summer drink! It's not only refreshing, it also saves energy and is easy to make waste free. I usually boil water to make tea and doing so uses gas or electricity. Sun tea, on the other hand, uses the sun's direct energy to brew. It's important to select a glass jar when making sun tea, as a plastic container might leach chemicals, especially when exposed to sunlight. The sun heats the tea up to approx. 130 degrees Fahrenheit, which can be a lovely temperature for bacteria to grow. Thus, I make sure my glass jar is very clean and that I've rinsed the mint well. The Steps: 1. 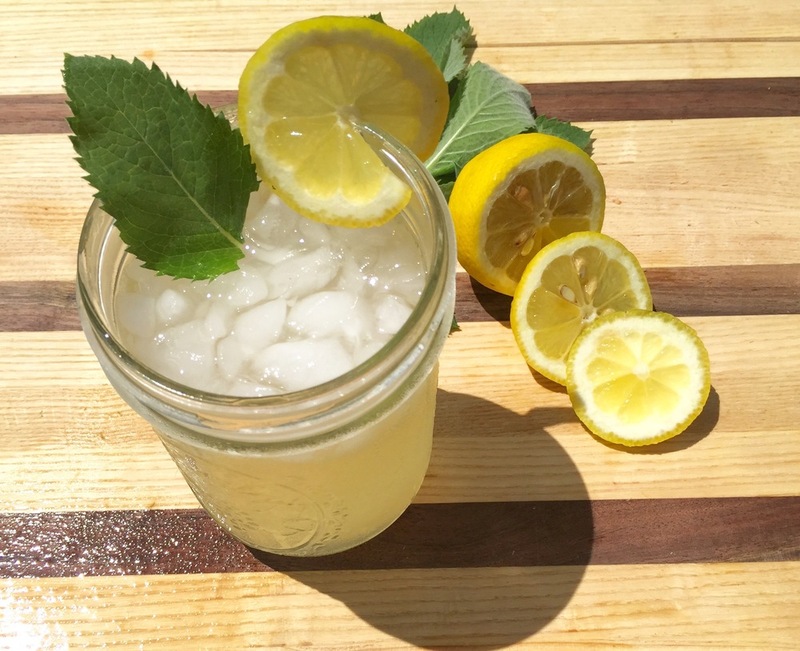 Combine the honey, lemon, and mint leaves in a gallon glass jar. 2. Carefully mull the ingredients with a wooden mallet or potato masher until the mint looks slightly wilted and the lemon slices are juicy. 3. Add the water, stir, put a lid on the jar, and set outside in direct sunlight for 2 hours to brew. 4. Strain the tea and compost the lemon and mint. 5. Pour your simple sun tea over ice and enjoy! Shelf Life: Store in the the fridge and consume within two days. Hot Tip: If you fancy caffeine in your tea, I suggest adding a few black or green teabags to this recipe. If you just want caffeinated tea, skip the lemon and mint, put 4 teabags in your glass jar, fill with 3 quarts of water, and set in the sun. I have re-useable tea bags made from muslin that I can fill with any loose tea I purchase in the bulk section of the grocery store. Don't have access to bulk tea? Look for brands that are organic and are not wrapped in plastic. It's very easy to grow mint in a pot on your kitchen counter, porch, or in your yard. Pick up a plant at your locals farmer's market! To get a little more use out of the mint leaves and lemon rinds after you've brewed your tea, put them in a mason jar and fill with vinegar to make an easy glass cleaner or all purpose cleaner.